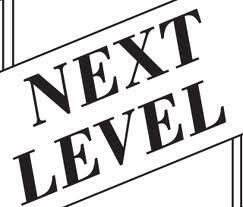 Everyone has a “next level.” I love working with people whose next level is running two days a week. Or starting a push-ups and sit-ups routine three days a week. But many of the people I know are runners or bikers who have a few competitions under their belt and now they’re starting to compete with themselves. And they want to take their competition to the next level. The first thing I recommend is strength training. As a runner, I know what I’m going to get out of my runs. I know how all the long runs build up over the 12-week training period and I know how the mid-week runs all support that increase in mileage. But cardio strength is different than muscular strength. Last summer I started to do a little more strength training with two exercises for the legs: squats and lunges. These two exercises are great for a few reasons. First, they don’t require any equipment. And if you did want to add some resistance, anyone can find 30-50 lbs of gear around your house or garage to up the ante. Second, they’re whole-body exercises, so not only are your legs benefiting but you’ll see results elsewhere. In fact, these two exercises are half of my Faithful Four routine I use for my Sports Conditioning clients. I’m not going to go over technique. You should be able to figure that out yourself. Contact me in the comments section or shoot me an email if you’d like to talk about this one-on-one. If you’re looking to take your running to the next level, try three sets of 8-12 reps of squats and lunges during your week. Do this for two weeks and share your results with me. This entry was posted in Strength, Training, Uncategorized on March 21, 2011 by Hans Schiefelbein. Thanks Anthony. I’ll look for you on Twitter.